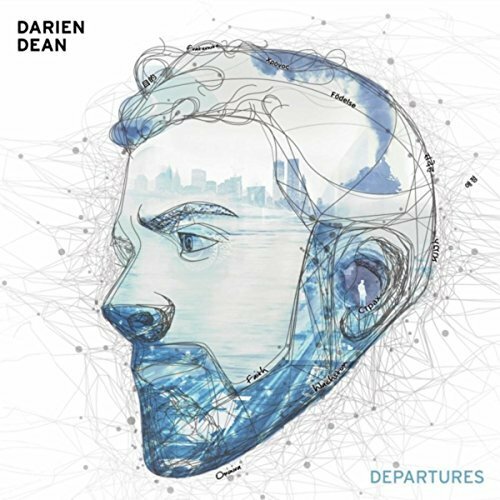 Mount Vernon, New York native Darien has become a staple in the New York soul music scene, regularly playing at venues such as Joe's Pub and SOB's. A talented singer/songwriter, he began in the late 90s in the hip-hop group The Colab. Citing such varied influences as A Tribe Called Quest, and Hall and Oates, Darien has continued to develop as a songwriter throughout the last decade. His contribution to the documentary soundtrack 25 Strong, was perhaps that disc's finest moment, and he followed by beginning work on his debut album, now scheduled for a mid-2008 release. He is also appearing on the 2008 release by Reel People, Seven Ways to Wonder. I've always loved music. I started off as a dancer, and choreographer, and then went on to rhyming, singing and producing. Throughout all of it, I was always in a group of some sort. When I started working on my solo project, it clarified things. It was then, when no one else was there, when I didn't have anyone else pushing me to do it, that I realized I really wanted it, for myself. What character are you in the songs? Depends on the song. I know I have played the part of the person with the ideal. Sometimes I want things, I don't necessarily have them, but I want them. In that way I guess I sort of play a writer of fiction. Other times I narrate, much like we do in life, discussing other people's issues. I'd say my music is old soul. You know... you feel it in your gut. It's got a vibe like something old, yet warm and familiar. It's a mix of things that I have come to enjoy in music and in life. Inspiration... a lot is drawn just from dreaming. Sometimes simple conversations and encounters with people wind up in my writing. Then of course there are elements of my life and love experiences. What message are you trying to convey through your music? I just want people to hear a voice they may be familiar with, saying something that they can relate to. You might learn something...or agree with something...or disagree. Perhaps I can convey emotions you feel, but cannot put into words. I just want someone to listen to my material and have a conversation with the song itself. What are the pros & cons of being a solo artist? Cons -- it's just you. There's no one else, to take the criticism, to bounce ideas off, to motivate you, hide behind (smiles). You're out there by yourself. Pros are -- it's just you. It's your own, you see it through in every stage of its growth. And just like the criticism, when the praise comes around -- it's for you and your hard work- that's kinda cool sometimes. If you were a song which would you be? Why? "Make Sure You're Sure", by Stevie Wonder. There are so many things in my life that I haven't been sure I should do -- and even when I started, wasn't 100% sure it was the right thing. Then something comes along and it feels just right... it just speaks to me like that. Advice for those looking to you for direction? "Make Sure you're Sure"... let me stop ...that's an interview answer. I don't think I can really tell anybody what they need to do. We're all walking different paths. I could give them the politically correct answers.... Like, you have to have confidence in yourself, but you can't tell somebody that. They have to seek it. I know I did. I would definitely say speak to The Most High about what you want, and what you want to surround yourself with ...and take it very seriously, because it is a gift -- and you have to nurture it for it to grow.